After a few weeks of relentless gray skies, I feel the need to ask for something sunny and sparkly this week. In my experience, Wataru Yoshizumi is a reliable purveyor of sunny and sparkly. 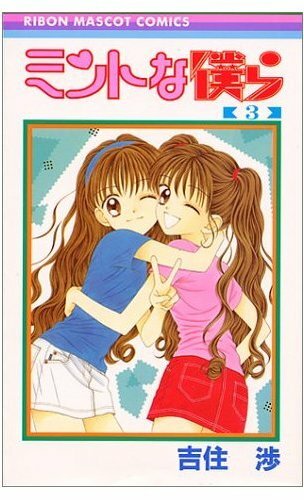 She’s had two series published in English: Marmalade Boy (Tokyopop), which is out of print, and Ultra Maniac (Viz), which is adorable in a really good way. It seems fairly safe to assume that her other unlicensed work might help lift the serotonin levels of snowbound shôjo fans. So let’s take a look at the six-volume Mint na Bokura, originally serialized in Shueisha’s Ribon anthology. It’s got inappropriate sibling closeness, boarding-school antics, and cross-dressing, and none of the covers seem to suggest domestic abuse, so I think it sounds like a winner. “Twins Maria and Noeru have always been very close. When Maria decides to enter to the Morinomiya School to get a closer look at the beautiful eyes of the coach of its tennis club, Noeru, who refuses to be apart from his sister, decides to enroll in the same establishment. Unfortunately, there aren’t any more places for boys. He decides to pass as a girl! You know, I don’t think Yoshizumi is famous enough. 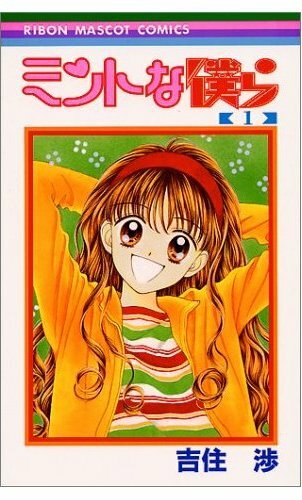 If she was really as famous as she should be, Marmalade Boy wouldn’t be out of print. Perhaps a step towards that would be getting Marmalade Boy back in print. If only the Japanese publisher of the series co-owned a major stateside manga publisher with a big shôjo imprint. Oh, wait… they do. Surely a gender-bending twin comedy set in a boarding school could also help push Yoshizumi to the next tier of creator fame. Here are some preview pages from the first volume of Mint na Bokura at Shueisha’s site. This entry was posted on Friday, February 19th, 2010 at 10:22 am and is filed under License requests. You can follow any responses to this entry through the RSS 2.0 feed. Both comments and pings are currently closed. It’s got inappropriate sibling closeness, boarding-school antics, and cross-dressing, and none of the covers seem to suggest domestic abuse, so I think it sounds like a winner. Heh. I tweeted a while ago about how one of the things I loved about manga was the fact that if I said “you know, that series about the cross-dressing boy in the girls’ boarding school”, a manga fan could legitimately say “which one?”. And I hadn’t even heard of Mint na Bokura. Oh, Tenshi Ja Nai!! !, how I love you. 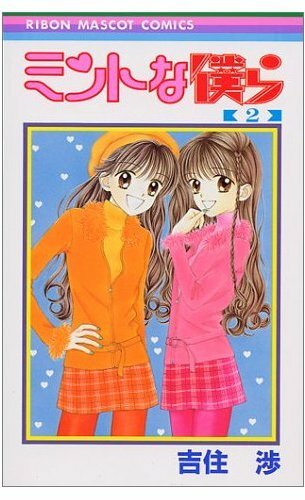 Mint Na Bokura looks like it’d be cute for the younger set… although since they haven’t licensed Gokinjo Monogatari, who has at least one long running series still in print, so I sigh for the taste of lisceners.